When will be Girl Starter next episode air date? Is Girl Starter renewed or cancelled? Where to countdown Girl Starter air dates? Is Girl Starter worth watching? 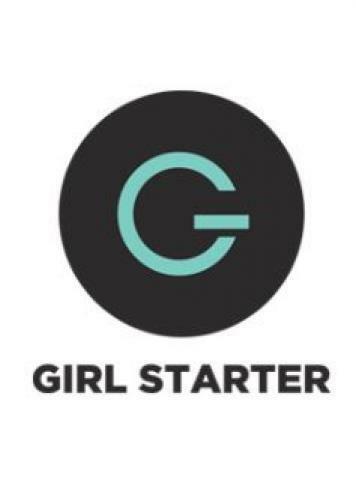 Girl Starter is a business-genre reality-competition TV show which documents eight girls ages 18-24 as they compete for seed-round funding. The series follows six steps of early-phase business building, from ideation through pitch, and features entertaining challenges, vibrant guest stars and a grand prize of $100,000 in funding and services. New ideas need to be simple to communicate, but the Starters find out the hard way that doing so is not so easy, especially when swinging from a trapeze or riding a mechanical bull. For both teams, creating prototypes proves a daunting task, and they start to sweat the details. The Starters develop their brand name into a logo and tagline to identify their voice, messaging and audience, a make it or break it phase for any business. The finalists reach for the $100,000 prize package as they're challenged to create a thirty second commercial, a financial plan and a final pitch presentation. Girl Starter next episode air date provides TVMaze for you. EpisoDate.com is your TV show guide to Countdown Girl Starter Episode Air Dates and to stay in touch with Girl Starter next episode Air Date and your others favorite TV Shows. Add the shows you like to a "Watchlist" and let the site take it from there.